Virgin Australia has named either Brisbane, Melbourne or Sydney as the “likely” city for its proposed nonstop flights to Hong Kong, the airline’s application to the Australian Competition and Consumer Commission (ACCC) for an alliance with HNA Group and Hong Kong Airlines show. 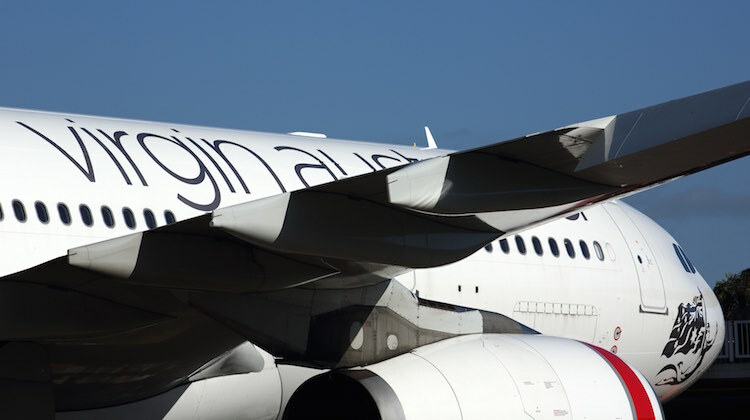 The parties have applied for interim authorisation from the ACCC to start ticket sales for Virgin’s Hong Kong flights before the end of March, ahead of a final determination on the proposed alliance. “Given the urgency, and the fact that the grant of interim authorisation does not raise material competition risks, the parties seek authorisation from 20 March 2017 pending a decision on final authorisation,” the Virgin, HNA Group and Hong Kong Airlines application said. Virgin first announced plans to operate to Hong Kong after welcoming HNA Group as a shareholder in June 2016. The flights were slated to begin in mid-2017 with Airbus A330-200s, according to the airline’s application to Australia’s International Air Services Commission (IASC) for the necessary traffic rights to serve Hong Kong. In February, Virgin also announced further details regarding its alliance with HNA Group carriers, Hong Kong Airlines and HK Express, which covered codesharing, reciprocal frequent flyer benefits and cooperation on joint-pricing and scheduling of services between Australia and Hong Kong and Australia and mainland China. Virgin has not nominated which Australian city flights to Hong Kong will operate from. 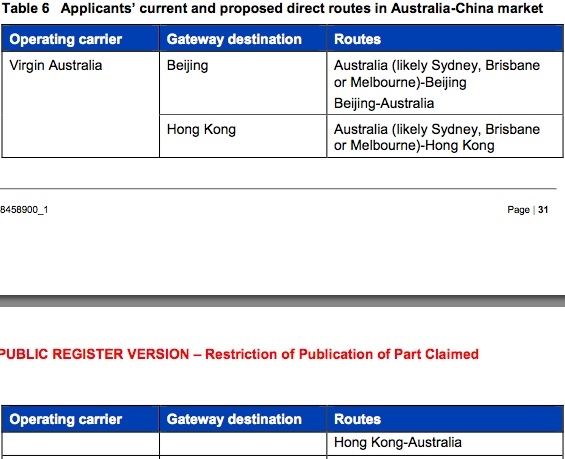 While the application to the ACCC did not disclose the Australian gateway city, Table 6 of the document showed the cities the flight would originate from were “likely Sydney, Brisbane or Melbourne”. The applicants said the alliance would offer travellers more choice and increase competition, noting Qantas and Cathay Pacific had a combined 99 per cent share of passengers and capacity on nonstop services between Australia and Hong Kong in 2015/16. Virgin also planned to operate between Australia and mainland China, likely to be Beijing. However, no start date has been announced. The application to the ACCC showed China Southern was the largest carrier between Australia and China with 44 per cent capacity share and 44.6 per cent passenger share. “With the introduction of new and recently launched services, the applicants will be providing a new option for travellers and will increase competition with the incumbent carriers including Qantas, China Southern, China Eastern, Air China and Cathay Pacific,” the application said. 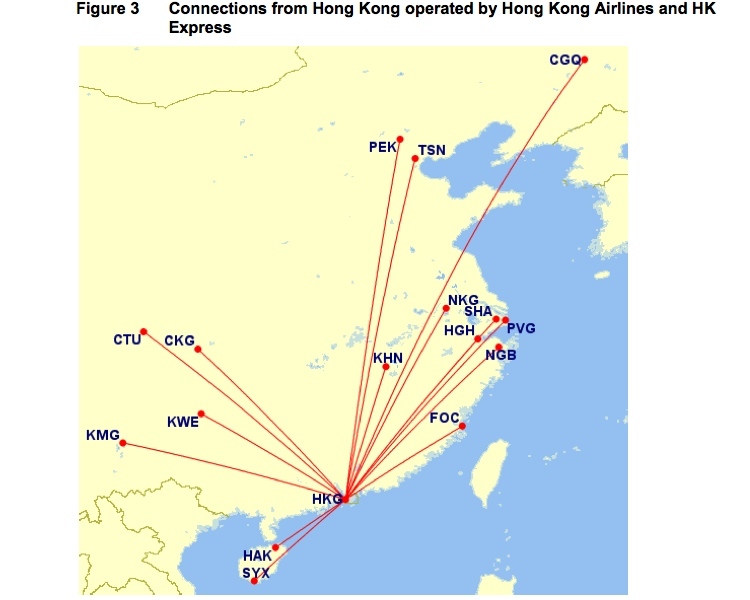 However, as bilateral restrictions prevented codesharing between Hong Kong and mainland China, Virgin would offer interline connections from Hong Kong into mainland China. 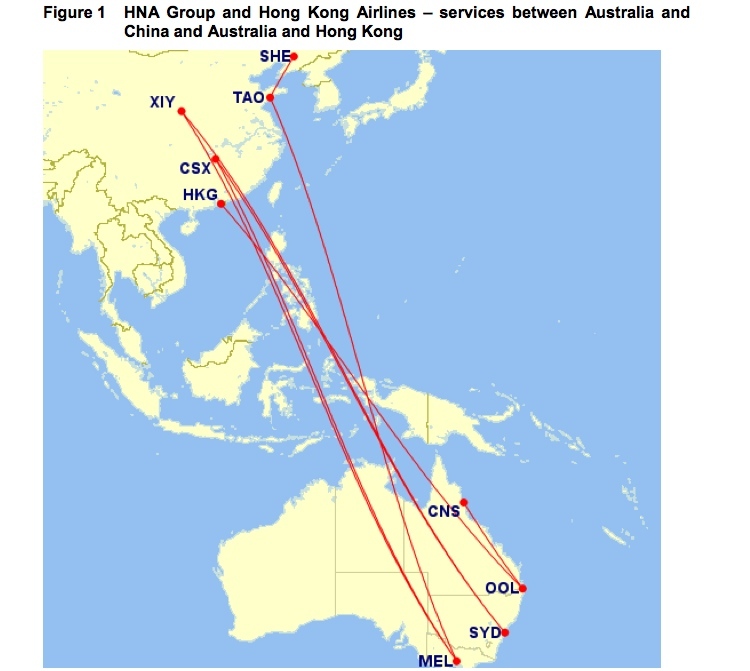 Also, the application said “a significant benefit of the Alliance is that HNA Group may, in the future, be in a position to offer Chinese-based travellers the option of a triangular service that allows passengers to travel via New Zealand”. 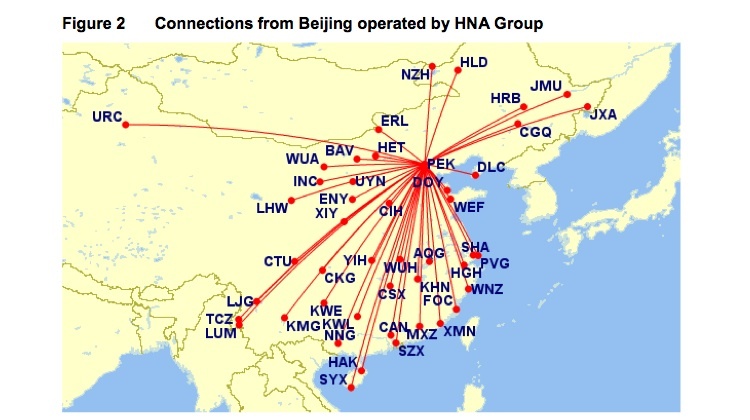 The application, which was dated February 17, said HNA Group airlines and Hong Kong Airlines offered a combined 14 return flights a week out of Australia. The addition of “up to two new daily services operated by Virgin Australia” would increase the number to 28. Hong Kong Airlines is unable to operate to any of Australia’s four major gateway cities – Brisbane, Melbourne, Perth and Sydney – as there is no more capacity for Hong Kong carriers under the current bilateral air services agreement. “The only way that Hong Kong Airlines is able to expand to these cities is through a partnership with Virgin Australia,” the application said. “The new services that will be introduced under the Alliance by Virgin Australia will therefore be of substantial benefit to Hong Kong Airlines and its passengers. The application said HK Express, which is a low-cost carrier, would initially be an “inactive” member of the alliance and did not intend to be an active member until a “future point in time”. “Over time, the Alliance will grow in importance for HK Express as the extent of cooperation increases,” the application said. The application said aspects of the airlines’ proposed cooperation in China were also subject to competition law approvals in China. Submissions in response to the application were due by March 14. Those seeking to make a submission with respect to interim authorisation were due by March 7. The ACCC said it expected to issue decide on interim authorisation by March, with the final determination slated for May/June. Urgh enough with the mystery, just announce the city for god’s sake! It’s starting to get ridiculous. And James no disrespect, but I highly doubt a flight attendant on a domestic flight would be in the know with this type of secret. I would have thought the least competition was on the BNE-HKG route. Qantas only operate a A332/A333 where for the MEL-HKG they use a combination on B744 and A333/2. Having said that, Mel and Syd have a sizeable Hong Kong Chinese population to promote services to. This is the situation for now of course until in a few months it comes out that they forgot to sign some form or make some application or meet the rules and the whole thing is cancelled a la TT and DPS?? ?